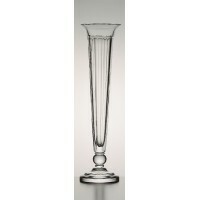 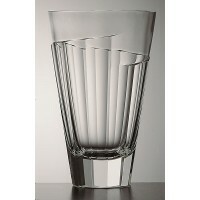 This brilliantly clear crystal vase has a panel decoration that spirals around the body. 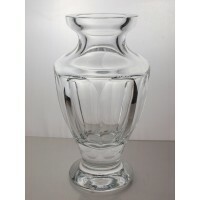 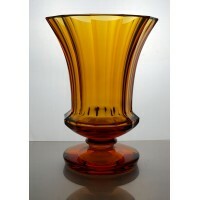 An imposing floral vase with a graceful neck and thick sculpted base. 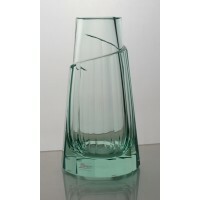 This tall vase sits like a tower reaching up to the sky. 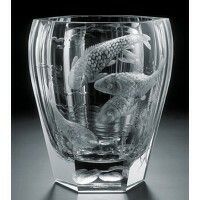 This hand engraved vase emphasizes the beauty of the vase and highlights the mastery of Moser’s engravers. 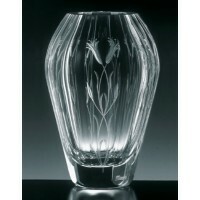 This vase is decorated with a hand engraving of a floral motif.